The rest of the workouts flew by. We did a lot of zoom calls on Saturday mornings to do our cardio flow workouts together. They are SO much better with friends. After 80 Days, I learned to prioritize sleep and practice self-care. I fell in love with my foam roller and stretching and made it a part of my weekly schedule. Sometimes it’s not about the before and after pictures, it’s about learning how to improve yourself and be your best self. The results were pretty awesome. This is the first time I’ve ever seen some carving on the front of my core! Do I have anything to share? I had gotten into a good rhythm of blogging when I felt I had something to share updates about. Then self-doubt hit and I was sure that there were more interesting blogs to follow and that my story isn’t exciting. Today I decided that this is my blog so it’s important to share what’s going on with me. I’m getting ready to certify in Core De Force in July. It’s been sort of a holding pattern in my workouts, I do something every day but didn’t have a new schedule to complete till this week when I started the new beginner program YOUv2. I have had people tell me they think it will be too easy but I am loving it. It uses my body in new ways. I’m using the All Access Netflix of fitness system to access the workouts. After 10ish years of OrthoK lenses, hubby talked me into prepping for lasik. It’s been 2 nights of no lenses and my vision is BAD. I’m sure there’s a life lesson in here about realizing how blind I really am and how for so long I’ve thought I had clarity. Back in my night driving glasses for a tiny bit of help. My 100 books in 2017 challenge is going really well. I’m at almost 40 books and have really appreciated the perspective change as I fill my mind with good and interesting things. We have 3 weeks left of homeschooling for the year. As I write our lesson plans each weekend it’s amazing to me to look back at all the 30+ weeks that are done. Time moves on and it’s amazing all we have covered. Our city garden is in as of last night and I’m looking forward to fresh tomatoes and veggies. That’s the update for me. How’s life been for you? If you’re like me, your phone is always within reach. 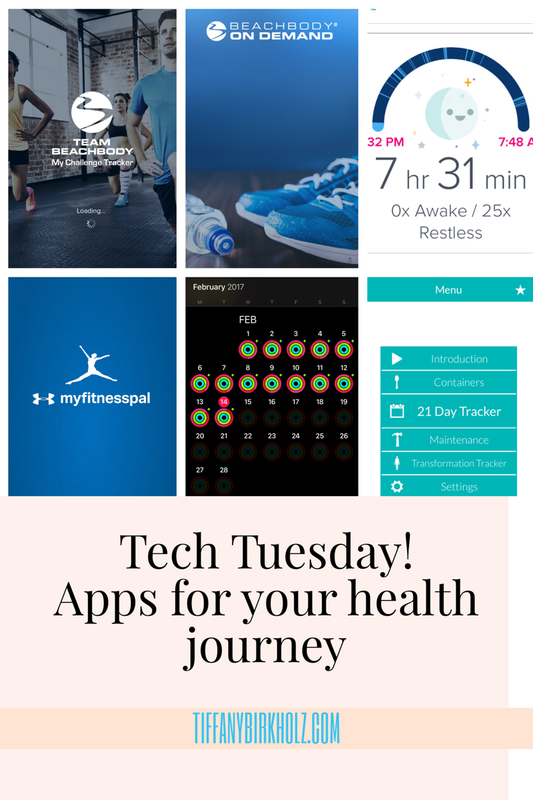 Why not use it to its max to help you with your health journey? Beachbody On Demand– $6,500 worth of workout programs of all kinds: cardio, weights, yoga, Pilates, MMA, dance, etc. I love saving workouts to the app to use when we travel so I don’t have to use hotel gyms. Fitbit- I wear the flex at night to track sleep. It’s important to sleep if you want to build muscle and lose weight! Myfitnesspal- I love this app to track macros when eating out. It’s amazing how much sodium and carbs and fat hide in restaurant food. Apple Watch- I don’t LOVE the heart rate monitor (HRM) but I do love the breathe reminders and how it makes me keep moving to close the rings every day. It’s also fun to share data with friends and send fun texts when they kill their workouts. 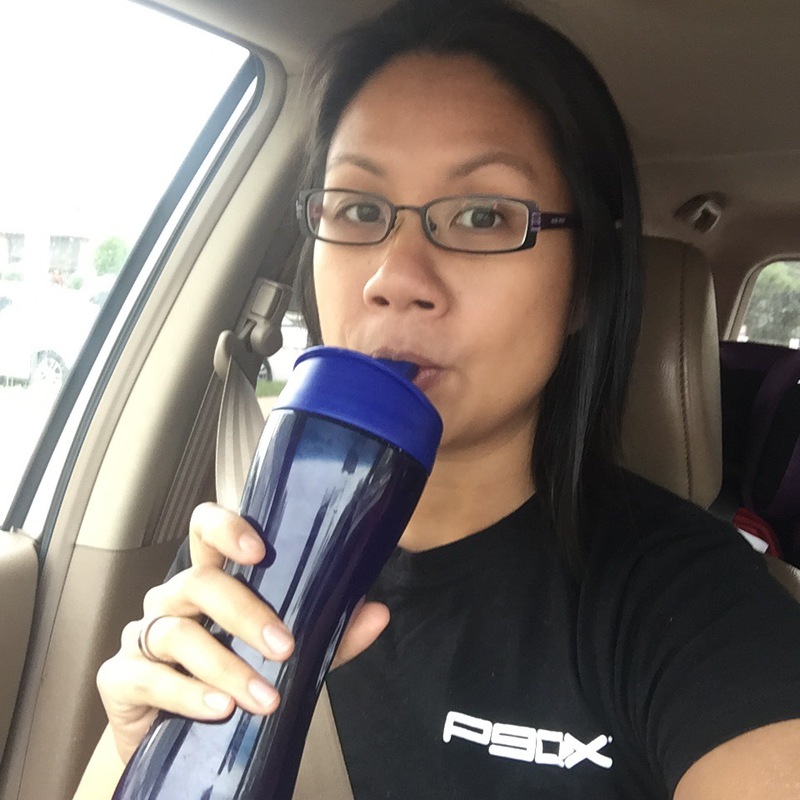 21 Day Fix tracker- the Portion Fix container system is life changing and I love keeping track on my phone. The food lists are all there too so I can always figure out what I’m eating too. I’ve reached the point in the workout schedule when I’m tired of it. The novelty has worn off, I’m not totally ripped and lean and though the blocks change, I want the excitement and freshness of something new. Normally, my coach team and challenge group (Facebook virtual support group) get me through, but today, I seriously want to throw in the towel and start a new program with my friends. There’s something powerful and awesome about positive peer pressure. 3 of my coach friends are doing Insanity Max 30 and now I want to stop P90X in week 10 and go back to something I’ve already completed. But I won’t. Because even though I’m dying to switch, to have the new shiny dreams of what could happen with Max 30, I also have coach friends cheering me on to finish. To do the last 23 workouts and be proud I finished a full round of P90X. Those friends are also as powerful to keep me going. Do you have those friends too? The ones who push you when you’re down and want a distraction away from your main goal? I hope you do. If not, our team is always open to new friends.